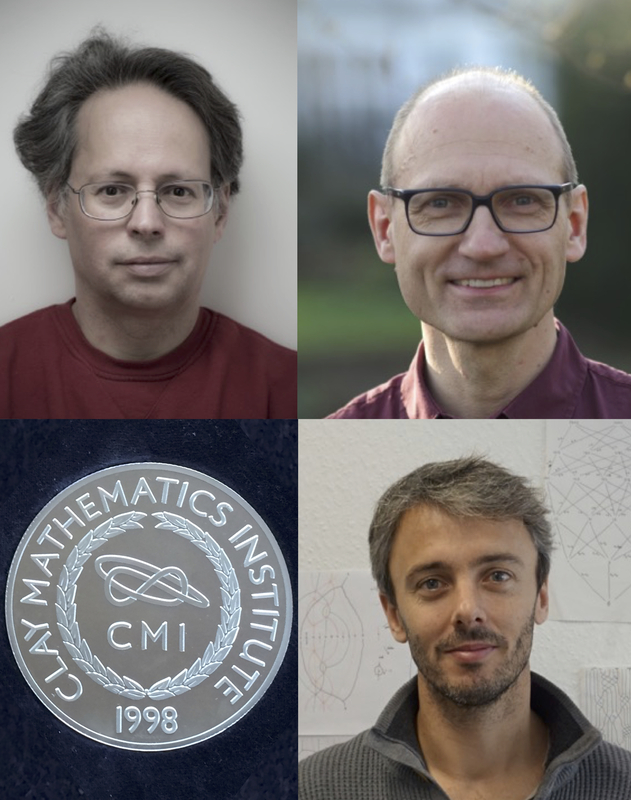 The joint Award to Mark Gross and Bernd Siebert is made in recognition of their groundbreaking contributions to the understanding of mirror symmetry, in joint work generally known as the ‘Gross-Siebert Program’. It has its origins in surprising predictions of non-perturbative dualities in string theory: that the properties of certain interesting geometries, notably Calabi-Yau manifolds, are reflected in counter-intuitive ways in partner geometries (‘mirror manifolds’). The Gross-Siebert program builds on an earlier, differential-geometric, proposal of Strominger, Yau, and Zaslow, in which the Calabi-Yau manifold is fibred by special Lagrangian tori, and the mirror by dual tori. The program's central idea is to translate this into an algebro-geometric construction in an appropriate limit, involving combinatorial data associated with a degenerating family of Calabi-Yau manifolds. It draws on many areas of geometry, analysis and combinatorics and has made a deep impact on fields such as tropical and non-archimedean geometry, logarithmic geometry, the calculation of Gromov-Witten invariants, the theory of cluster algebras and combinatorial representation theory. Remarkable results independent of mirror symmetry are now emerging, notably in the geometric compactification of moduli spaces of K3 surfaces, in the construction of theta functions on Fano and Calabi-Yau varieties, and in proofs of Looijenga’s conjecture on the smoothability of certain surface cusps and of the positivity of Laurent coefficients conjecture. The Award to Geordie Williamson is made in recognition of his groundbreaking work in representation theory and related fields. In particular, the award recognises two major breakthroughs. First, his proof, with Ben Elias, of Soergel’s conjecture on bimodules associated to Coxeter groups. This established the combinatorial result that the coefficients of the Kazhdan-Lusztig polynomials are non-negative, as well as yielding a new proof of Kazhdan and Lusztig’s conjectured character formula for representations of complex semi-simple Lie algebras. The second is the construction (building on earlier work with Ben Elias and Xuhua He) of counterexamples to the expected bounds in Lusztig’s conjectured character formula for rational representations of algebraic groups in positive characteristics that grow exponentially with the rank of the group. The awards will be presented at the 2016 Clay Research Conference at Oxford on Wednesday, 28 September.